When the Pan Am games came to Toronto, Canada this July, the City of Aiken was well represented. There were several horses and riders competing there who train, or have trained in Aiken, including Boyd Martin and Phillip Dutton who rode for America in eventing, as well as Emanuel Andrade, who was on the Venezuelan showjumping team. 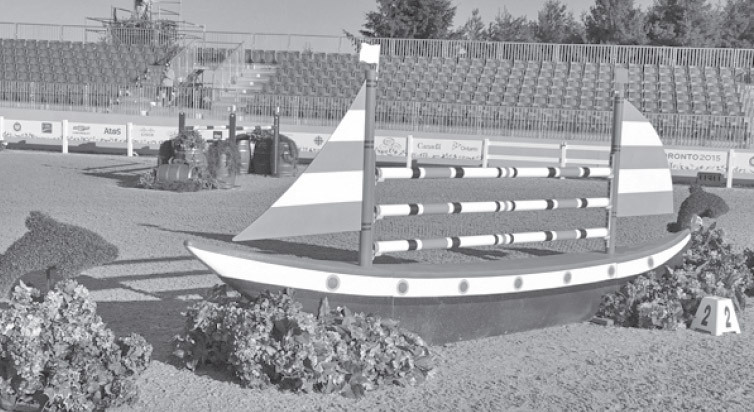 But the perhaps the most significant Aiken influence came from Michel Vaillancourt, who was hired to design the jumps and the courses for showjumping. Michel, who lives in Aiken, is a native of Montreal and the winner of the individual silver medal in showjumping at the 1976 Olympics. 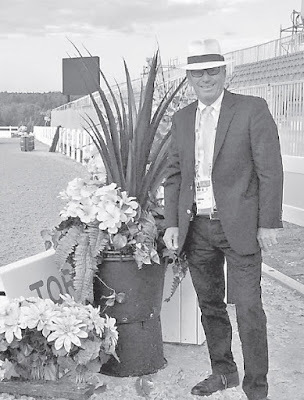 One of just a handful of FEI level 4 course designers in North America, his services have been in demand all over the North American continent and in Europe. He was chosen to set the courses for the 2015 Pan Am Games three years ago, not long after they were awarded to Canada, and he says he got started working on them right away. Once a list of approved jumps was established, the organizers of the games began an open bidding process for the their construction. The winner was a German firm. Michel started designing the courses themselves this spring. 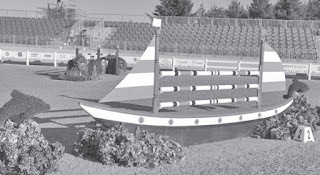 He had to create tracks for three different competitions: the first qualifier, the team and the individual jumping. Although Michel has been involved with the design of international courses, including those at the World Equestrian Games, this was the first major championship where he was in charge of the entire process. He admits he was nervous. Fortunately, the Canadian team stepped up its efforts in the next round, eventually coming away with team gold, thus securing a berth at the Olympics. Argentina won the silver medal, its first medal in international competition since 1971, qualifying that country for the games. The U.S., which was already qualified on the basis of its performance at the 2014 World Equestrian Games in France, landed in bronze medal position. McLain Ward, who is on the American team, rode Rothchild to the individual gold. “He really deserved it,” says Michel. “He was the only one in the competition to have a double clear round. “I congratulate all the medal winners,” he continues. “It was a fantastic competition and the sport was really good. That is always my goal when I design a course, to provide good safe sport, and I was very pleased with the outcome of the championship. I was also overwhelmed by the support and the positive feedback I got after the event. . . .To have such a beautiful competition – it could not have been any better.” He gives a little laugh.